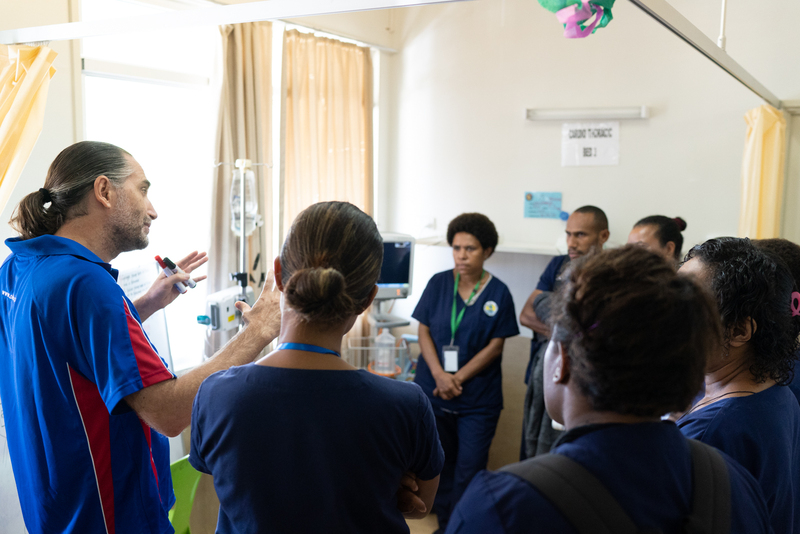 The Open Heart International (OHI) team run out the door coffee in hand, onto the bus and then straight onto the ward to see how the patients are going. One of the patients; Blezzed is having a drain put back in, in theatre and returns to the ward looking great according to Simon the team intensivist. I doubt the ICU staff will get much peace and quiet today even with Blezzed quietly resting. 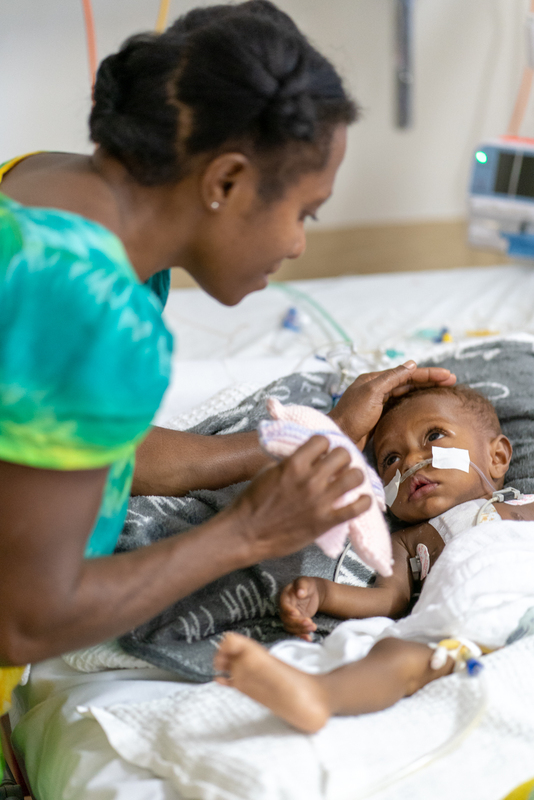 Two young ones in ICU are highly spirited while recovering; being nursed by their mothers. Emanuella is 8 and a half months old and comes in weighing around 6 kilos. 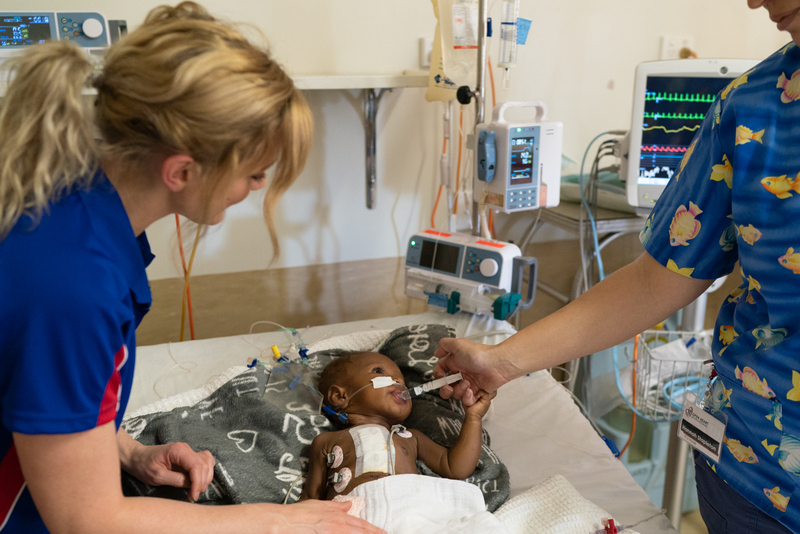 While her heart problem has meant her development is a little slower, she is chatting letting everyone in intensive care know how she is feeling. Won’t be long before she catches up with the rest of the kids! As the day progresses, the patients on the ward are up and out of bed with physios throughout the day. With a range of activities at hand, everything from; blowing bubbles, bowling, darts and soccer is happening in the halls. 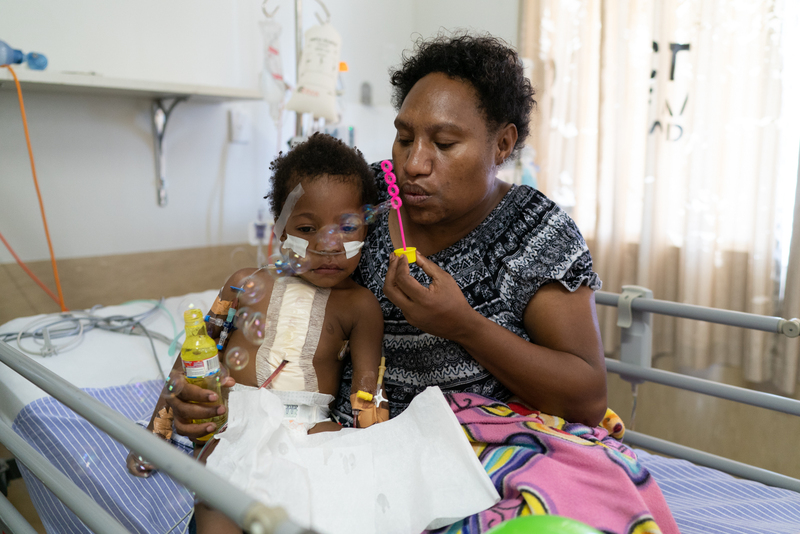 Despite obviously being quite sore, these kids are up and about and getting their heart and lungs moving to help their healing after surgery. Training is happening everywhere today! 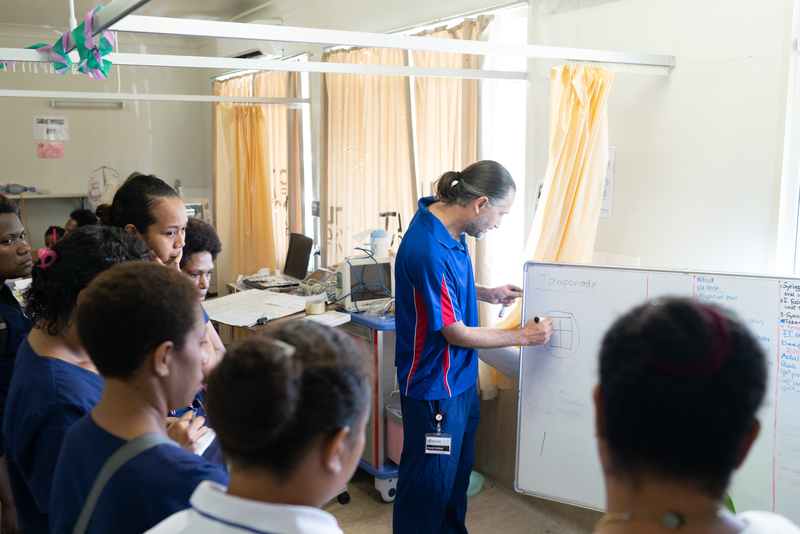 Project Co-ordinator, Dr Darren Wolfers is taking the opportunity to run a small class with the local ward staff from both day and night shift. Discussing the patients in ICU and the internal workings of what is going on with their healing. Darren has everyone chiming in with answers and problem solving over his short 20 minute class. Renee the physio is back with local staff on the ward this morning running them through how to read x-rays and check breathing. This is a follow up from yesterday afternoons class in the physiotherapy office about x-rays. Local physios meet up everyday just after 3pm and have been having solid learning sessions with Renee each day. 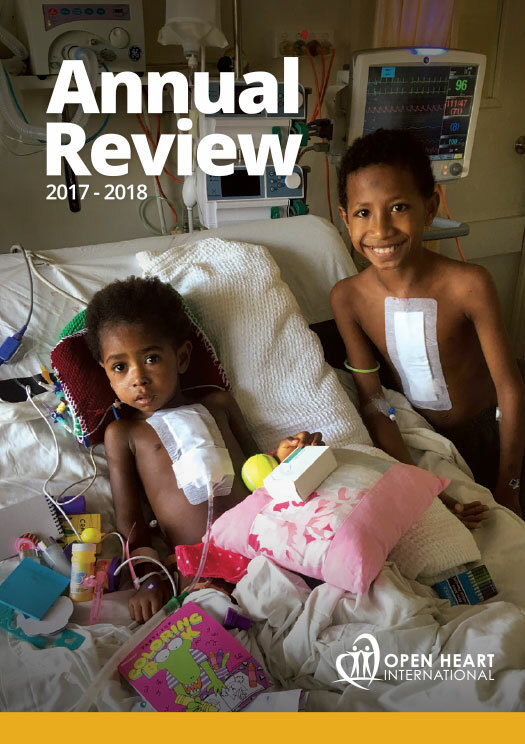 These are based on what the Port Moresby Physiotherapy department have an interest in and its all related to cardiac surgery and recovery. 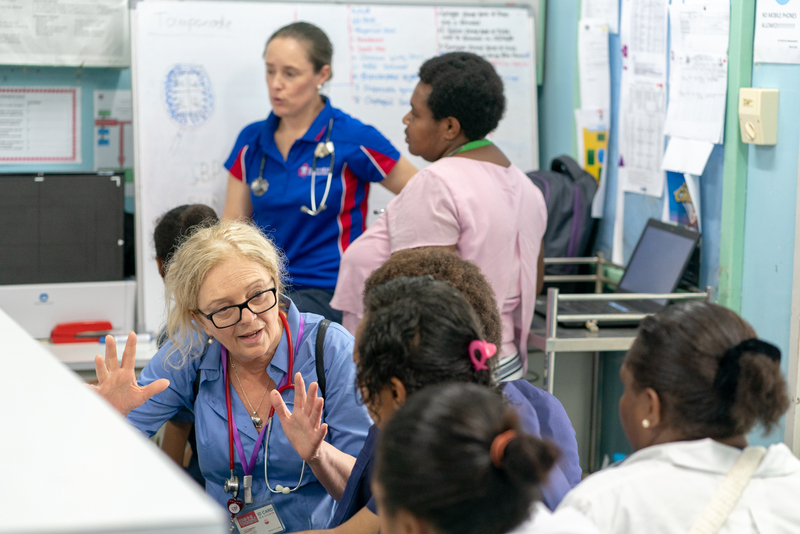 Svatka is on the ward at the nurse’s station holding court for an intimate class with ward staff about the workings of cardiac problems, assessment and treatment. An overall start to finish process of cardiac health; this explains how the problems can occur, how they work and what they cause as well as the treatment. Non-stop education here in Port Moresby! So many enthusiastic team members from the local hospital staff aiming to increase their knowledge to provide the best possible care for all their patients. 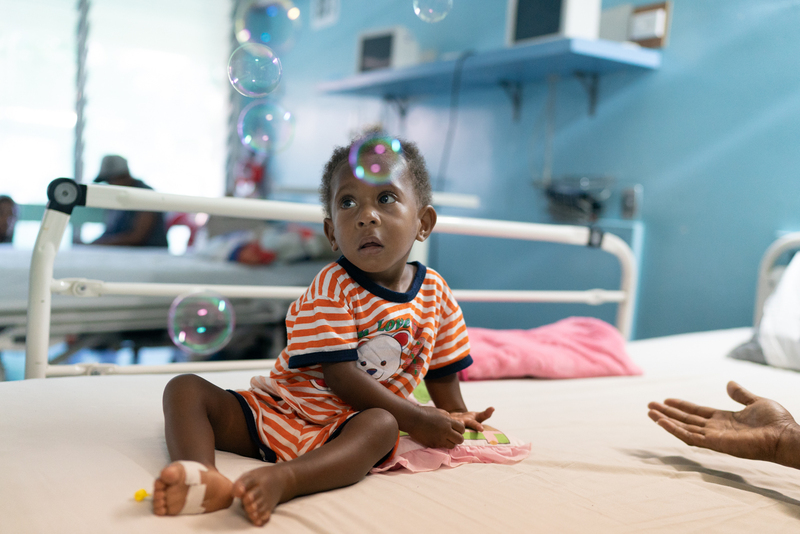 They might not see these operations often, but the hope is more can happen with enough support. 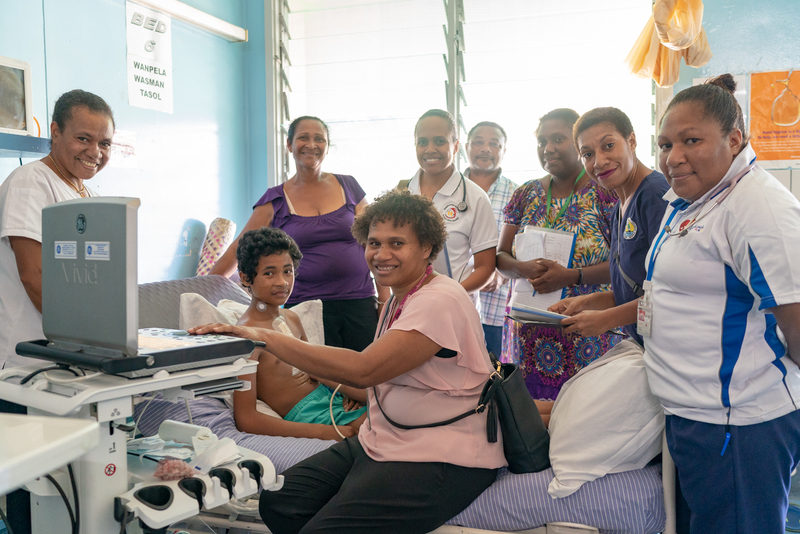 If the hospital and community gains support, the future of a Pacific Region cardiac centre here in Port Moresby seems highly likely with the local enthusiasm I am seeing here today!